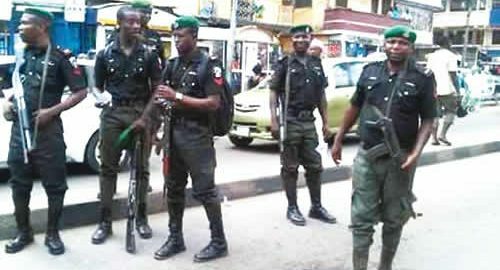 The Nigeria Police Force will deploy over 300,000 personnel nationwide to provide security for the presidential election holding on Saturday. It was gathered that nearly every police officer out of the over 350,000 policemen in the country would be actively involved in election duties. Already, the acting Inspector-General of Police, Mohammed Adamu, has deployed six Deputy Inspectors-General of Police to supervise elections in the six geo-political regions in the country. They are DIG Usman Abubakar, North-East; Godwin Nwobodo, North-Central; Anthony Michael, South-East; Taiwo Lakanu, South-South; Aminchi Baraya, North-West and Yakubu Jubril, South-West. Confirming this to our correspondent in Abuja on Saturday, the Force Public Relations Officer, Frank Mba, stated that the DIGs were expected to move to their respective operational zones on Monday. He added that the IG would coordinate the Force Strategic Election Security Operational Plan from the Force Headquarters, Abuja. 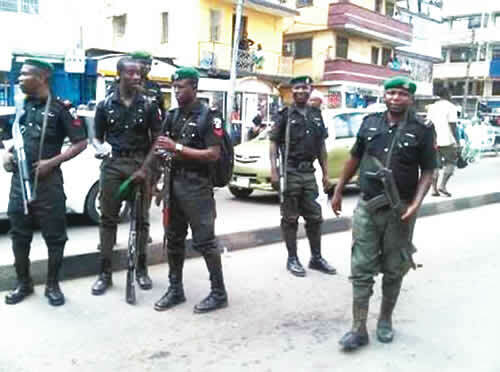 When asked to provide the specific number of policemen that would be deployed for the polls, Mba, an Assistant Commissioner of Police, declined, but said, “Almost every policeman in the country would be on election duty; that is why we are withdrawing policemen from VIPs. Pressed to give the percentage of men that would be deployed, the FPRO said, “We are deploying maximally and would be making utmost use of our human and material resources and the deployment would be overt and covert. Mba also refused to name the flashpoints that the police would monitor closely for security reasons,disclosing the areas would not be productive.